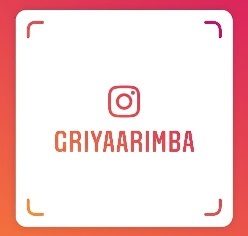 Where is GriyaArimba Homestay located? Mawar St. no. 01, Blotan, Wedomartani, Ngemplak, Sleman, Jogjakarta. Transportation access is easy, only 15 minutes Adi Sutjipto Airport, 15 Minutes From Maguwoharjo Station, 30 minutes Tugu Station, 16 Minutes from Janti Bus Stop and 20 Minutes from Jombor Bus Terminal. What is the occupancy capacity? Can accommodate up to 15 adults with extra beds. How many rooms are available GriyaArimba Homestay? At Griya Arimba Homestay there are 3 bedrooms. What is the rent price for GriyaArimba Homestay? You can contact directly listed on our website for updates on rental prices.